Carer visa (subclasses 116 and 836). Only new applications will be accepted for these visa subclasses. Applications lodged after 2 June 2014 and before 25 September 2014 are invalid and nullified. New application would only be considered. Family sponsored migration is the second largest migration stream of Australian Visa Programs. You can easily migrate to Australia as a permanent or temporary resident, provided you have either a relative or a partner in Australia who is an Australian citizen, an Australian permanent resident or an eligible New Zealand citizen. Unlike skilled migration, there is no need for the applicant to meet the point test. Age is also not a criterion in most of the cases. 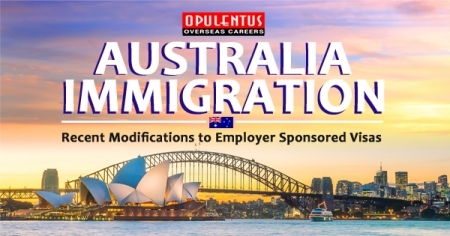 All that the applicant needs to have is an eligible sponsor who can sponsor them for Australian migration. This visa is for partners of an Australian citizen, permanent resident or eligible New Zealand citizen, who intend to enter Australia either through marriage or de facto relationship with their partners. This visa is processed in two stages The applicant will be initially granted a temporary visa till the decision on permanent visa is made and the applicant will be allowed to eventually apply for permanent visa if he/she continues to meet with the visa requirements. The basic requirement is to obtain a sponsorship from an eligible sponsor. The applicant will be granted a direct permanent visa in certain circumstances where the applicant can either demonstrate that he/she has been married or in de facto relationship with his/her partner for a duration of 5 years before the application is lodged or his/her relation has been in existence for two years before the application was lodged and there are children born out of their relationship. Reliance on social security:The applicant or sponsor will need to be supported by an assurance of support if they are likely to become a user of Australia's social security system. Can include dependents in the application provided they meet with the health and character requirements as per Australian laws. The applicant and his/her partner should have a genuine interest and mutual commitment in continuing their relationship. The applicant should have been in a de facto relationship with the sponsor for the entire 12 months prior to the application being lodged. This visa is for people who wish to enter the country to marry their intended partner who is an Australian citizen, permanent resident or an eligible New Zealand citizen, within 9 months of their entry into the country. The applicant has to enter the country at least once before he/she gets married to the intended partner. Once a Fiancé visa is granted the applicant can eventually apply for partner visa which further paves way to a permanent resident visa of Australia. The applicant and intended partner should have known each other as adults. Parent visa options are for the people who intend to migrate to Australia and live with their children who are Australian citizens, permanent residents or eligible New Zealand citizens. 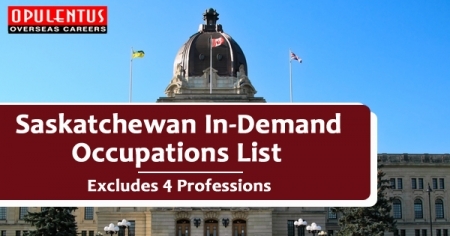 Can sponsor people for permanent residence (subject to waiting periods). The parent migration program is designed by the Australian government with the aim to reunite family members living in different countries. This is a permanent visa option available for parents sponsored by their children settled in Australia. The applicant should have a commitment to provide an Assurance of Support. The Capping of parent visas by the Australian Government results in longer waiting periods. b) Aged Parent (Subclass 804) Visa:This visa is for the people in Australia who are old enough to be granted an Australian aged pension plan and who meet the balance of the family test. The age of the applicant should be above 65 years in case of males and above 63 years in case of females. This category was introduced by the Australian government to reduce the delay in migration in parent category. These visas are for parents who have children settled in Australia and are solely dependent on their children for their financial support. Contributory parent visa has the option of either one or two pathway to permanent residency. Initially, the applicant will be granted a temporary visa for a period of 2 years and later the applicant can apply for a permanent contributory parent visa. The requirements of both the parent visa and contributory parent visa are the same. The only difference is that the parents have to make a higher contribution to their future health and welfare costs. Health and character:The applicant has to meet with health and character requirements as per Australian laws. As a part of the family immigration program, the Australian government has introduced child visas which help the children of people established in Australia to migrate to Australia and live there indefinitely. Basic requirement of this visa is to be sponsored by their parents who are Australian citizens or permanent residents or eligible New Zealand Citizens. Australian value statement:All the applicants aged 18 and over have to sign the Australian value statement. Other family visa options are offered to aged dependent relatives, remaining relatives and carers of Australian citizens, permanent residents and eligible New Zealand citizens, which entitles them to live permanently in Australia. The basic requirement of all these visa categories is to be sponsored by an eligible relative in Australia. Health and character Requirements:The applicant has to meet with the health and character requirements as per Australian laws. 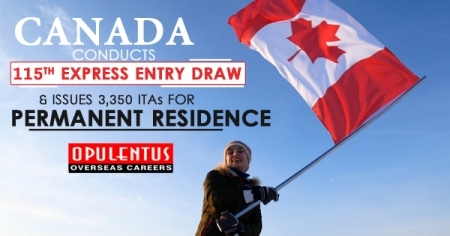 This visa allows for open study and work permit. Spouse, partner and dependent children can be included in the application. The secondary applicants should meet the English language and health & character requirement. Secondary applicants 18 years or over included in the application should provide evidence of having knowledge of at least functional English. Applicants who do not have functional English have to pay second instalment fee which entitles them to attend English tuition in Australia. All secondary applicants have to undergo health examination. Applicants over 16 years are required to provide police certificates for each country they have lived in for 12 months or more over the last ten (10) years. Our Processing Team conducts a detailed review of your profile & assesses your age, education, nominated occupation, work experience; skills in demand & personal finances. Take our services and know all the documents and formalities of migrating under family immigration. Use our professional services to apply for your family immigration visa. We have the experience of having processed cases from all over the world. Your chances of success are much higher when you sign up with us.